A dessert like no other. A unique confection that portrays the mystery and romance of the Middle East. The candy was featured in "The Lion, the Witch and the Wardrobe", by C.S Lewis. The White Witch tempted a character, Edmund, with Turkish Delight. This easy Turkish Delight recipe will tempt you, too! 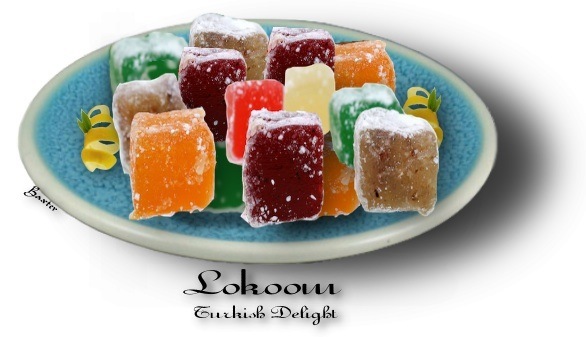 Turkish Delight is a candy that originated in Turkey in the 1700's. Chock full of Pistachios and almonds. 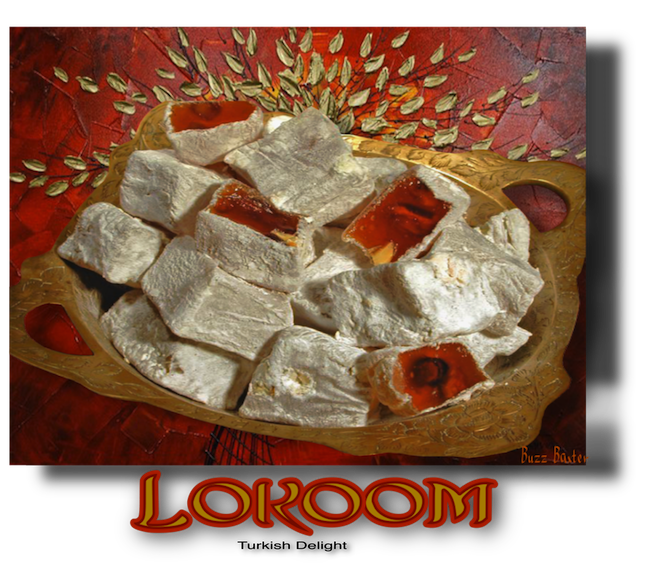 Imagine yourself in the Sultan's tent, nibbling on these delights. down to low and cook for 2 hours. the liquid jells and separates from the sides of the pan and forms a large ball. 3. Pour contents into a buttered pyrex pie plate and let cool. It is best to cool overnight. oil. Also found in good cooking stores such as Williams-Sonoma or top supermarkets.